Meru Betiri Tours. Meru Betiri actually was the name of a mountain located at south beach of Banyuwangi City with an altitude 1.223 mdpl. Meru Betiri have a large amount of the potential of nature, that's why government established as Meru Betiri National Park. Meru Betiri National Park can be accessed through Banyuwangi, passing several beautiful beach like Red Island Beach, Rajegwesi Beach, and Green Bay, before ended at Sukamade Beach. We will use jeep to reach Sukamade beach, because only jeep 4 X 4 can pass through Meru Betiri way. Banyuwangi driver. Our Banyuwangi private driver will take you with hospitality and will take care of you during your Merubetiri tours. We have 4 Banyuwangi english speaking drivers at Banyuwangi. 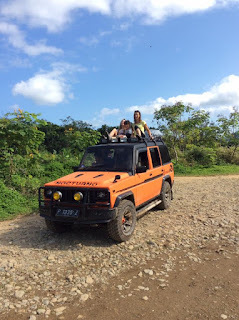 See more with click : BANYUWANGI DRIVER. Meru Betiri tours. Meru Betiri National Park has many animal and plants protected by law like : Tukan Bird white beak, long tail monkey, Java Tiger, Bull, and several type of Turtle in Sukamade Beach. The plants like rubber tree plantation, cocoa, coffee, and thousand of tropical forest trees. Sukamade beach was the beach for sea turtle conservation, and become the main destination for Meru Betiri Tours. - arrive at Sukamade Beach totaly around 8-9 hours from Banyuwangi city. Sukamade Beach Tours. Sukamade was the name of the village that closer to the beach that use for turtle conservation. In this beach, there are several housing of rubber tree plantation. We stop at homestay at Sukamade beach that only 700 meters more to the beach. We open the room, clean your body, dinner, relax a while. At 8 PM, the Ranger of Sukamade turtle conservation will call all guest and give the briefing before guest go to sukamade beach to see the sea turtle breeding. In this moment, we just regarding on lucky to see sea turtle breeding. 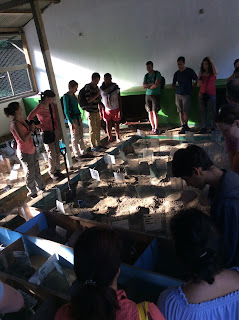 We didn't allowed to use any lights and speak noisy that will disturb the turtle breeding. To see turtle breeding we need walk a bit around 700 meters pass the tropical forest trees, and we will back to homestay around midningt. In the morning around 6 AM we comeback to sukamade beach to release the baby turtle form conservation cage. Meru Betiri Tours. 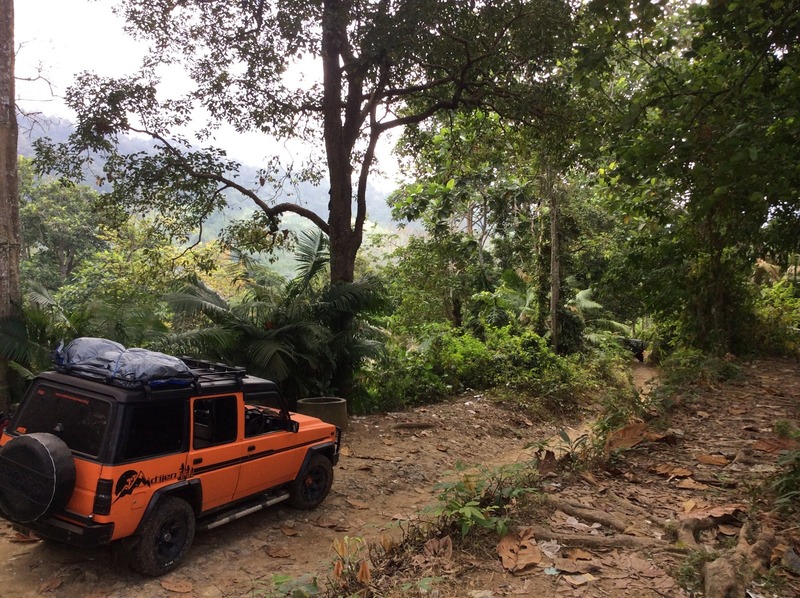 Your journey start from Rajegwesi Beach to Sukamade will pass extreme adventure road, and cross the river using jeep. On the way, if you lucky you will see Tukan bird white beak, one of the most guest want to see in Meru Betiri National Park. 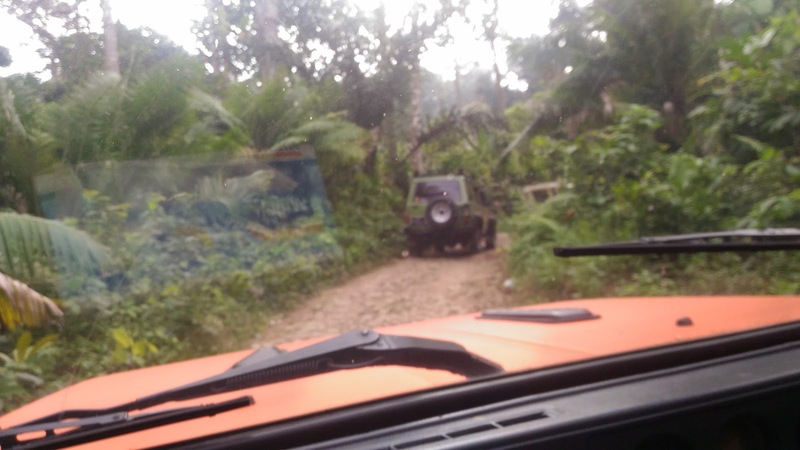 We can also see the long tail monkey (black), bull, and other wild animal during ride a jeep. Sukamade Beach tour. There are sea turtle breeding at Sukamade Beach, and you can see the proccess of sea turtle breeding at beach, how government keep the egg and breeding, then release baby turtles (tukik) to the sea. Type of sea turtle species that ever lay egg at Sukamade beach : Green Turtle, Oliveridley Turtle, Hawksbill Turtle, and Leatherback Turtle.